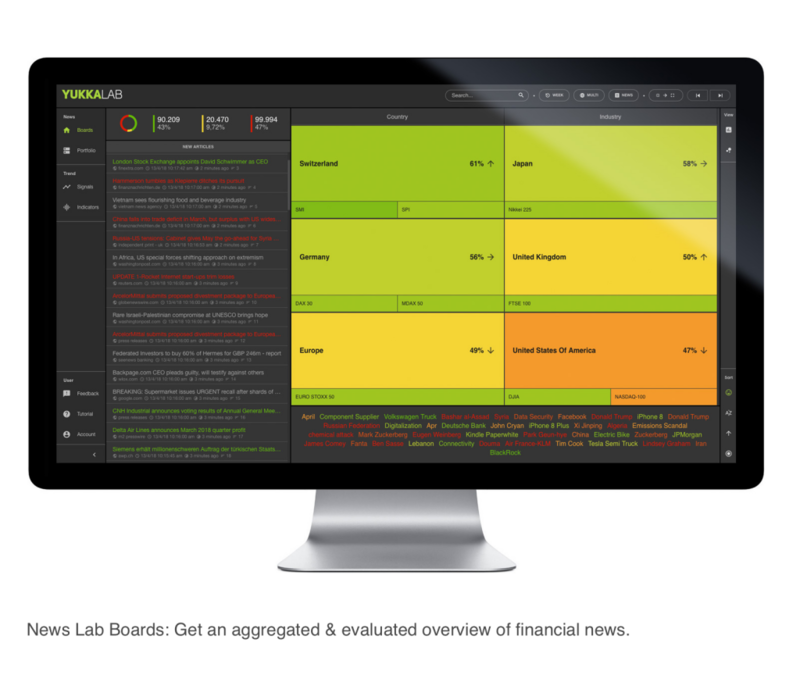 YUKKA News & Trend Lab offers an organized systematic and efficient overview of topics and trends observed in the professional financial news. The News & Trend Lab was developed to provide asset managers and financial advisors with an information advantage and a minimum time expenditure for the analysis and the evaluation of financial market information. Our software analyzes real-time financial and business news and provides research support for investments. 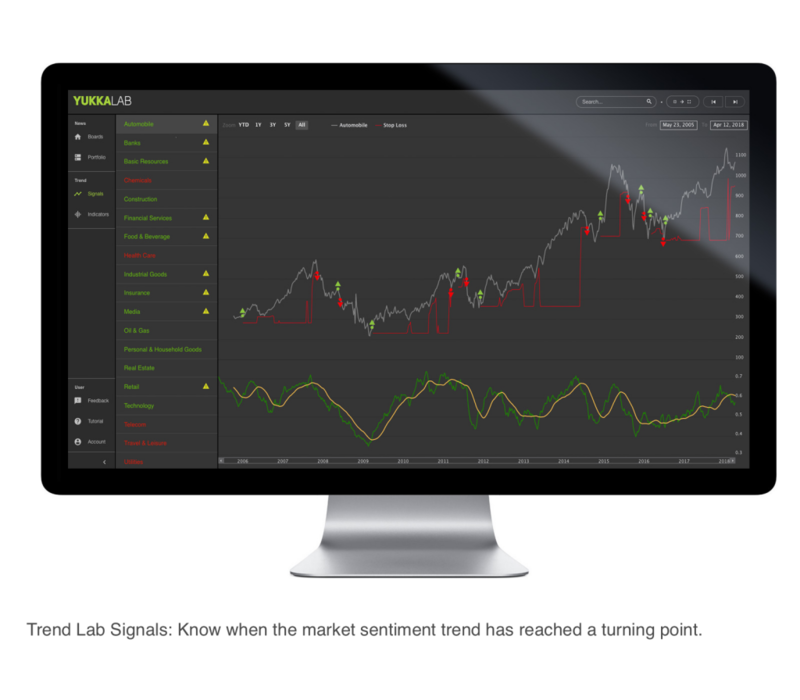 Making it possible to identify significant trend changes as well as trading volumes in advance, the YUKKA News Lab provides an unmatched information advantage. YUKKA Lab’s self-developed Augmented Language Intelligence is leading edge, combining natural language processing, machine and deep learning. Partnerships with the major news agencies, guarantee access to high-quality content in real-time. Our solution empowers users to unleash the full potential of financial data and gain a competitive edge. Do you want to know more about our YUKKA News & Trend Lab? Please watch our live-demo at Finovate Europe 2018 in London in the video below. Topics that drive financial markets – Get an aggregated and evaluated overview of professional financial news. 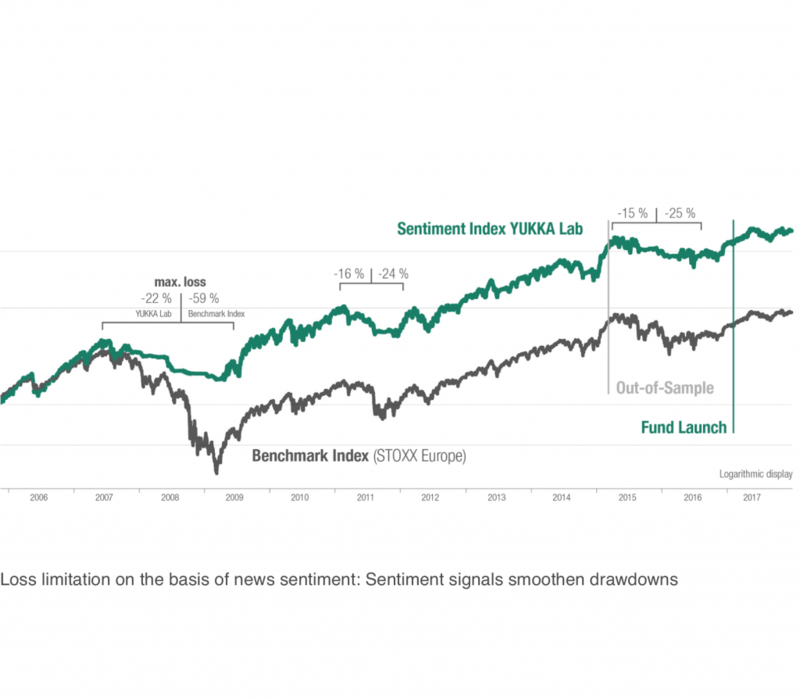 YUKKA Lab‘s Newsflow Analyzer processes the rising flood of data in the financial markets and filters the most important information for the stock market. Chart map: See all relevant entities and their sentiment in a glance. Europe chart and heatmap below. Tag Cloud: See all relevant keywords related to the chosen entity. For Europe above. Proactively reach out to your clients with concrete leads based on the latest news developments related to their investments and create added value. 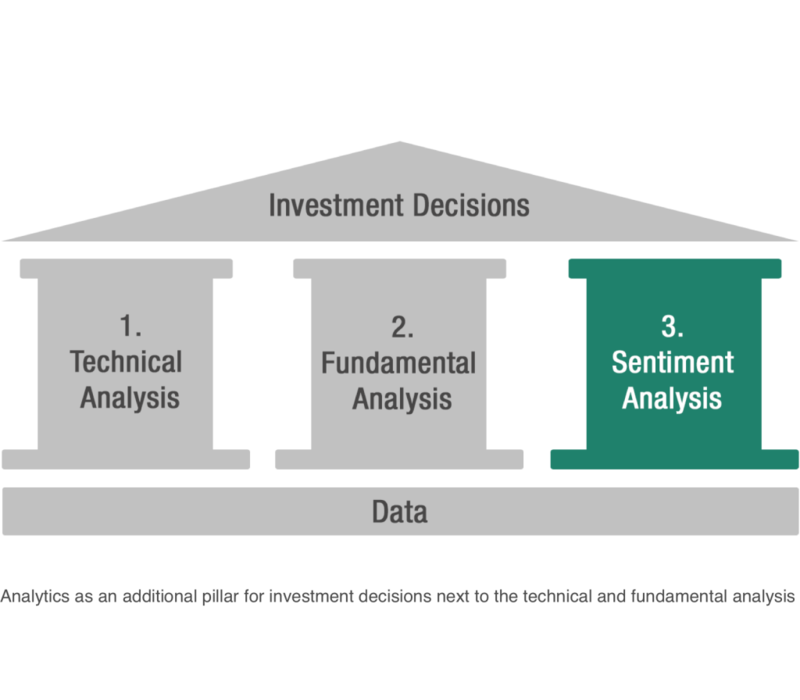 Make fact-based investment decisions by taking sentiment indicators into account. Detect upcoming trend shifts to reduce risks. Create the personalized aggregated overview of your investment portfolio and watchlist. Receive customized alerts Receive customized alerts that enhance your strategy. An overview of all relevant topics, news and sentiment trend changes in one screen and gain access to licensed full articles with one click. 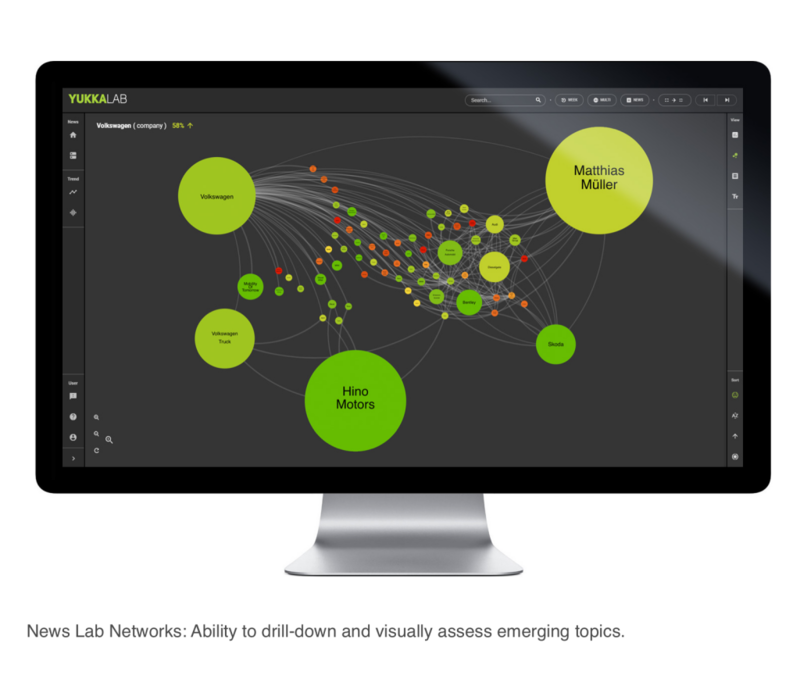 Visually assess new emerging topics and identify what companies are involved. Exclusive datasets consisting out of professional financial news and newswires incl. historical financial data (since 2005). Proprietary financial models that manage the first European equity fund based on sentiment and proven early warning system. Visualized in an intuitive cockpit for more efficient information processes and easy to understand presentation of complex contexts. Self-developed algorithms and high-end sentiment-technology for German and English provided by an experienced team. It´s all about the right timing – Secure profits and minimize losses with this early warning system for drawdowns. Know when the market sentiment trend has reached a turning point. Portfolio managers identify trends and minimize risks. Always at the pulse of the market, you can advise and support your customers in the best possible way. Maintain an overall market overview and know where you sell best. Monitor topics. Analyze competition. Be the first to react to sentiment changes and trends. Real-time News analytics tailored for your company. You decide how much information you need to work as efficient as possible. YUKKA Lab´s API offers the possibility to integrate the full power of our Augmented Language Intelligence solutions perfectly suited into your companies needs and challenges as web component or data component. YUKKA Lab´s API is based on a documented REST interface, which allows integration via standard HTTP requests. This provides the highest flexibility to clients, as requests can be made from within web pages, mobile device applications and backend systems. The provision of the API is simple and a scalable cluster ensures high availability and responsiveness. Get your YUKKA News & Trend Lab! Use your free 30-day trial period, and get acquainted with News Analytics’ many features!